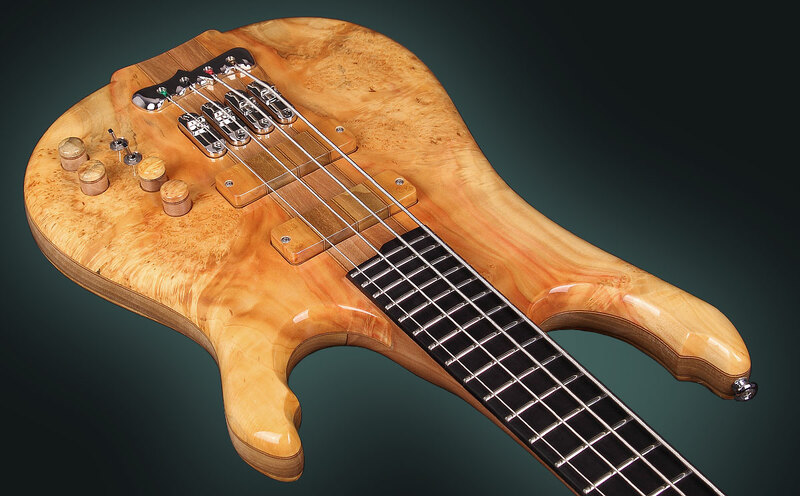 Lava RB, 4-string pure handmade bass represents another viewpoint which I have about how I see a boutique bass and the combination of functionality and art. I built this bass model giving freedom to my imagination, which somehow affected my dreams. I had a dream where I saw this bass and the only thing I had to do was to make it. 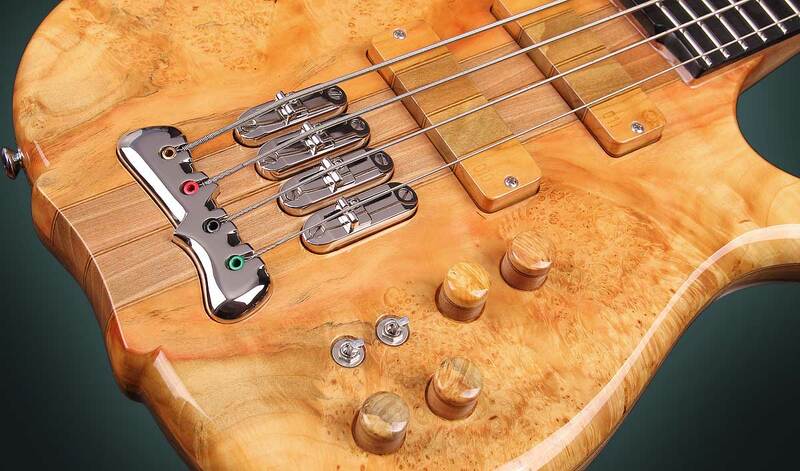 The bass has a specific Arch body profile, and a lot of additional features that make it unique and one-of -a-kind. 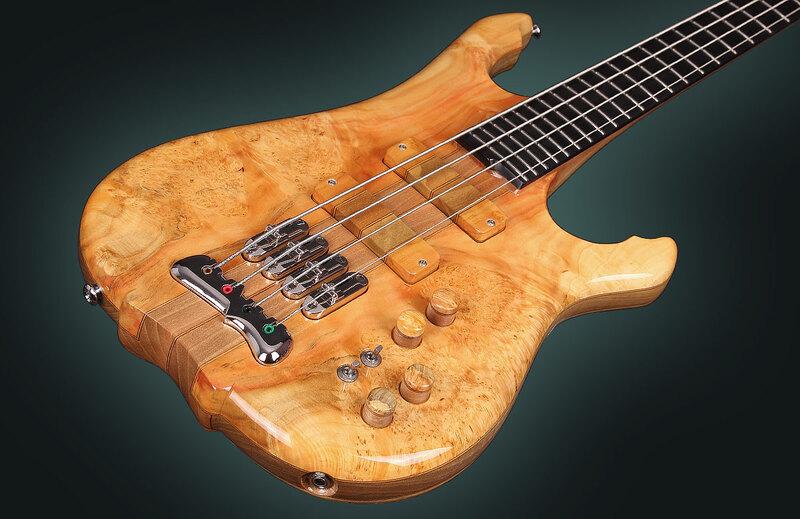 One of the basic aims of this handmade bass is to be elegant and comfortable for playing. 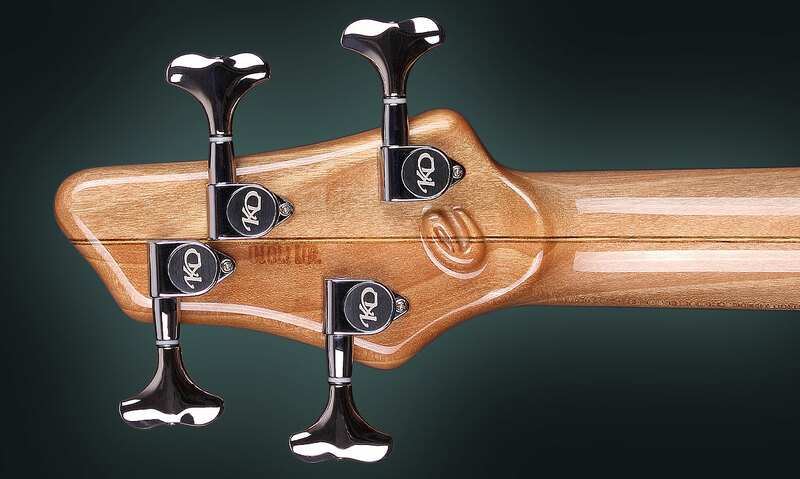 The body and the contour are designed to give the performer freedom in playing and full free access to the 27-th fret. 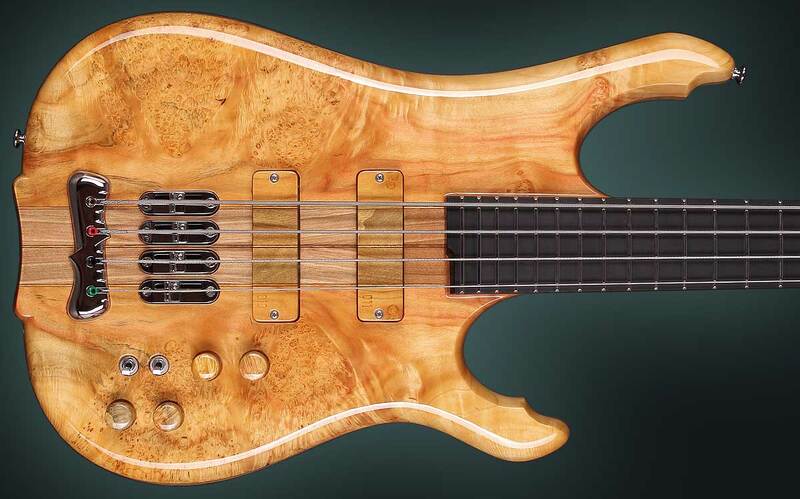 Body: The bass body has an original, unique and stylish form. For designing the backside of the body I have used a completely new idea and style. A small arch-shaped channel for separating the two book-matched Maple pieces makes the style more expressive and contemporary. 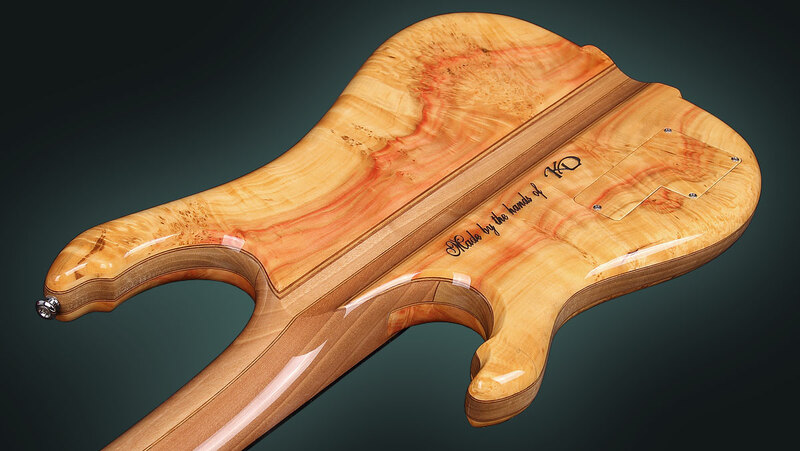 The channel in the middle reveals more details of the body and neck construction. 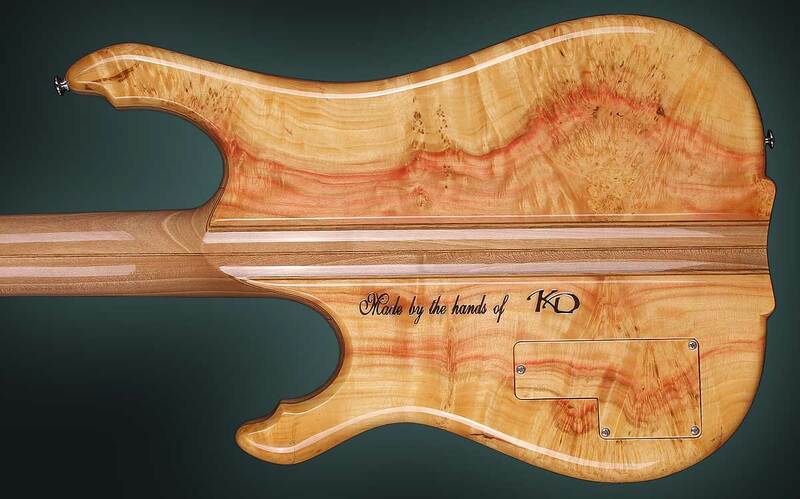 The wood I used for the top and backside of the body is an extremely rare, heavy figured, red spalted burl Maple. The top is not just an ordinary top, but a semi-hidden neck-thru. The core of the body is made of solid Walnut and two types of veneer application — Walnut and Maple. The electronics box lid is made of wood with the colour and texture as close as possible to the ones of the body. 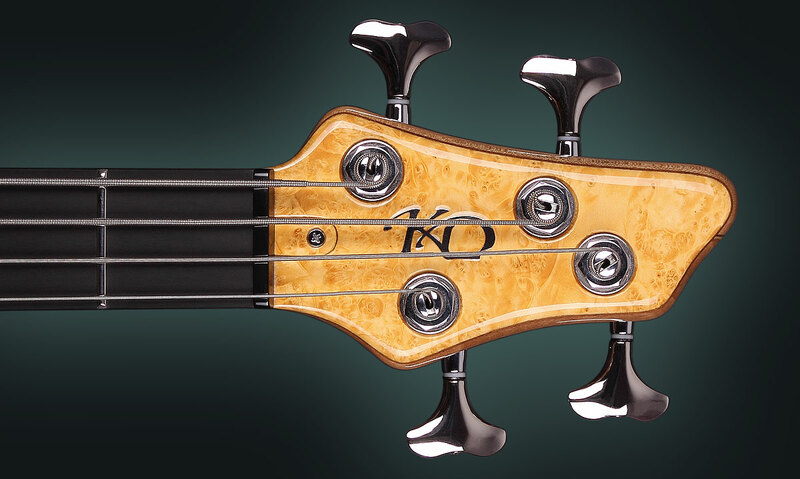 The specific Arch body profile is an option rarely seen on neck-thru basses or guitars. Side position marks – white dots 2mm. 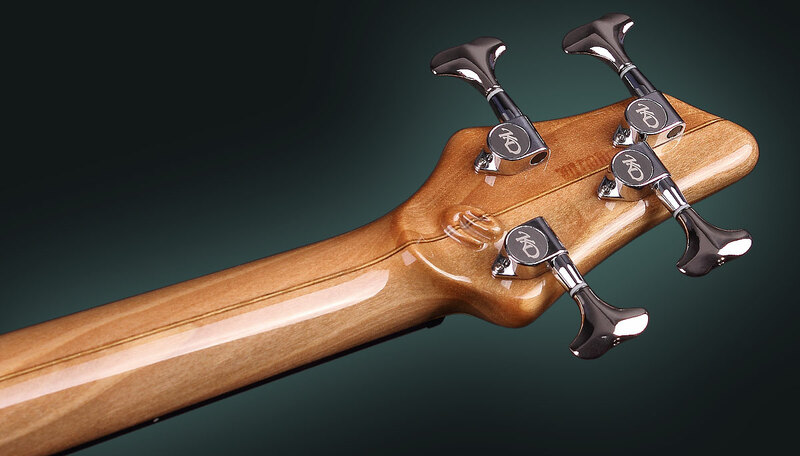 Headstock has elegantly rounded corners, fine polished KD stainless steel logo placed on the top side. Hand-made wooden lid for covering the truss- rod hole. Tuners: KD Machine heads has additionally improved design, which includes new style hand-made buttons, and KD logo in the middle of the lids. For boutique bass orders send me an e-mail via the Contact form or just call!